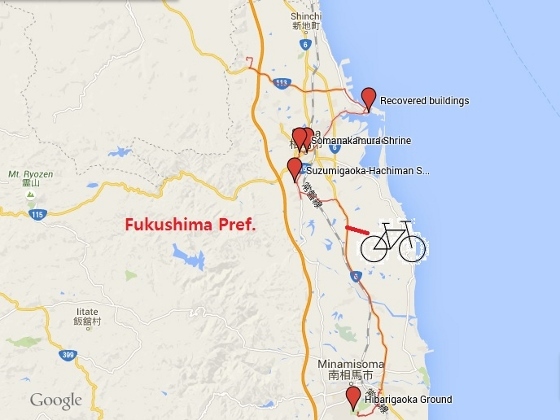 Today I left Shinchi Town and pedaled toward south to Soma and Minamisoma City. This is the first day of the traditional Somanomaoi Festival and I could see horse parade and visit related shrine. 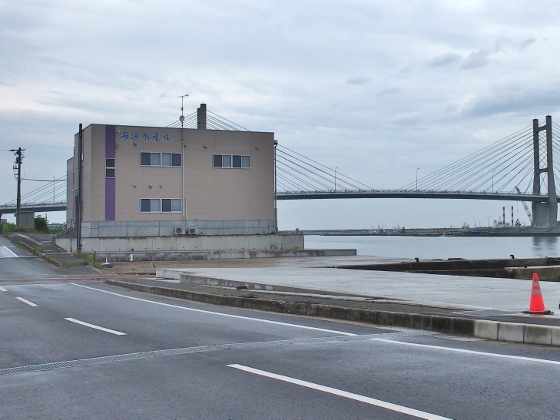 At first, I visited a building on the edge of the seashore at Matsukawaura, Soma City. 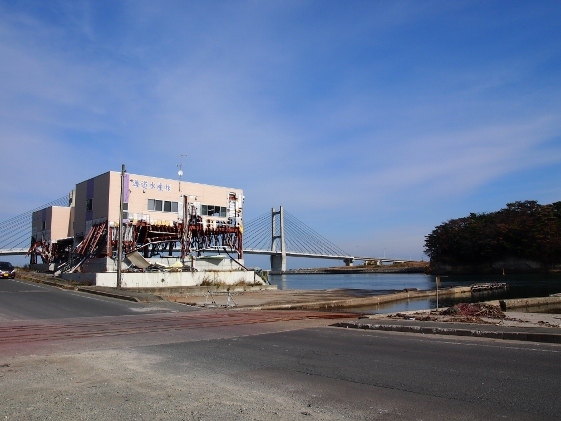 The building had been severely hit by tsunami on March 11, 2011. It seemed totally recovered from the pictures (before and after) above, though the angle of the shot and the weather are not the same. Then I moved to the central part of Soma City near Somanakamura Shrine. I happened to meet the Somanomaoi parade as shown above. This is the first day of Somanomaoi Festival which is the National Intangible Folk Cultural Property. 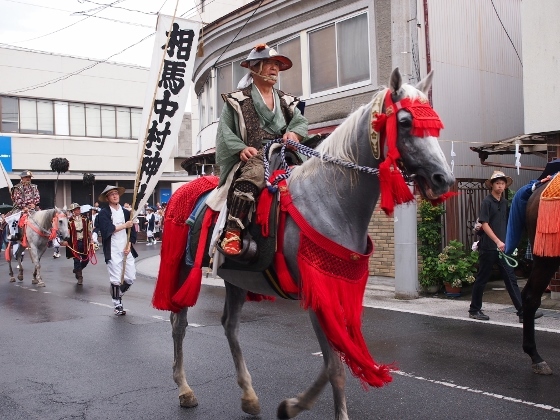 The horse parade came from Somanakamura Shrine which is designated as National Important Cultural Property. 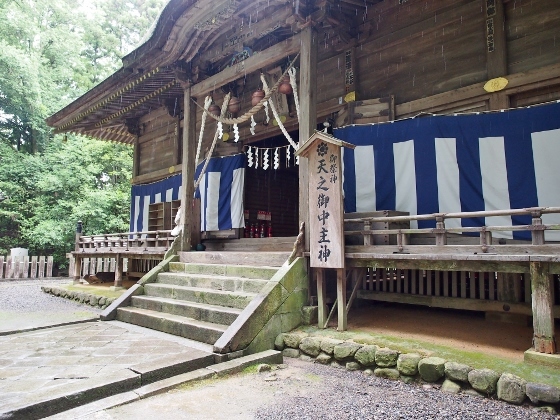 The picture above shows front building of the shrine which was built in 1634. There is another shrine of National Important Cultural Property in Soma City. 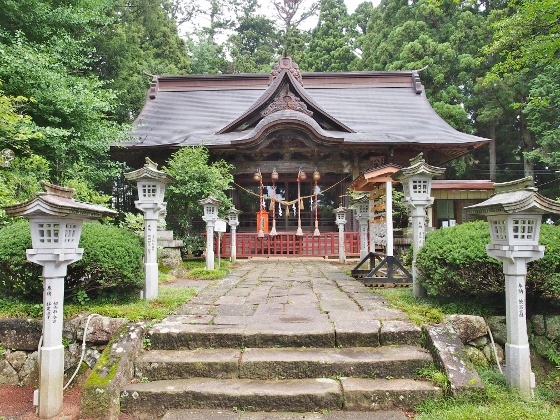 This is called Suzumigaoka-Hachiman Shrine which was built in 1695. The front building called haiden is shown above. There are seven old buildings in the precincts all of which were designated as National Important Cultural Properties. 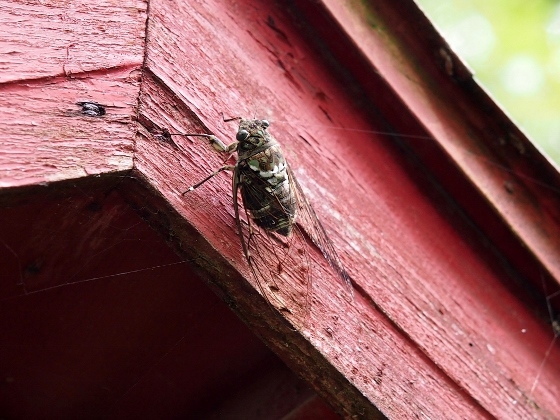 Around the precincts of the shrine, there was chorus of min-min cicadas. I found one on the red lantern as shown above. I finally arrived at Hibarigahara Ground in Minamisoma City. This is the base ground for Somanomaoi Festival. 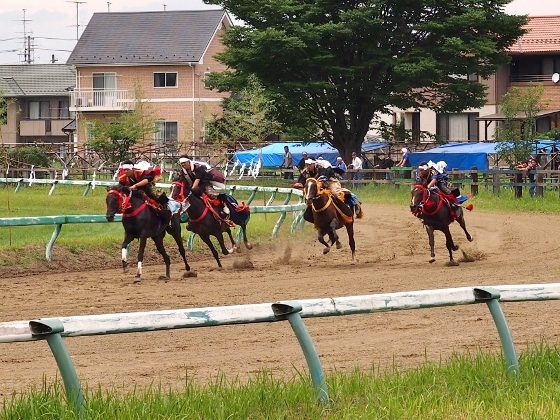 Today, the first horse racing was performed here with neither amor nor family flags as shown above. You can also watch a very short video above just to feel the atmosphere.